Nothing says spring better than a basket of ripe, in-season strawberries. A farmers market favorite, it’s easy to find yourself with more of these juicy little guys than you know what to do with. 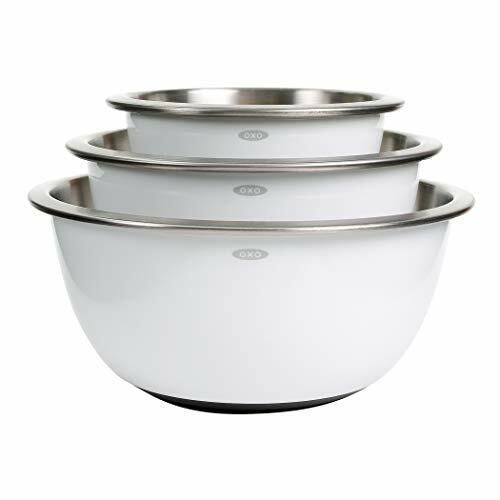 We recommend displaying them in a beautiful basket or better yet, cooking with them! 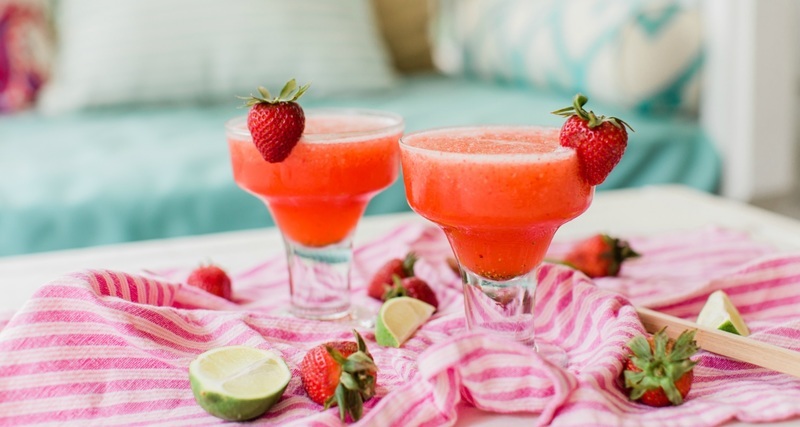 Here are 17 strawberry-filled recipes that will satisfy your springtime sweet tooth. Have your cheesecake and eat it too — for breakfast! 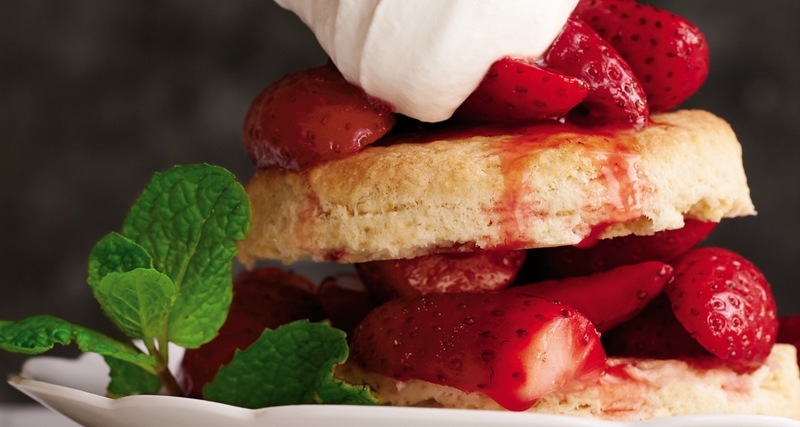 Pairing strawberries with rich cheesecake pancakes gives this sweet breakfast treat a beautiful aromatic flavor, perfect as the centerpiece for a late weekend brunch board. 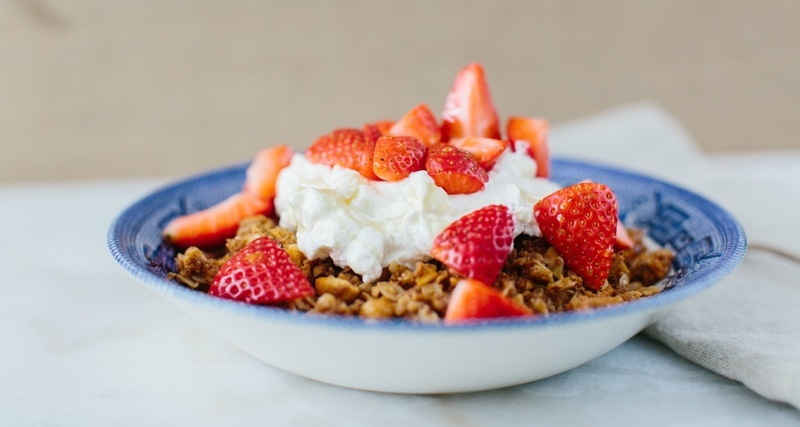 For a healthy way to start the day without sacrificing flavor, this protein-packed granola will give you a good energy boost with the perfect amount of sweetness thanks to fresh strawberries and a healthy drizzle of honey. 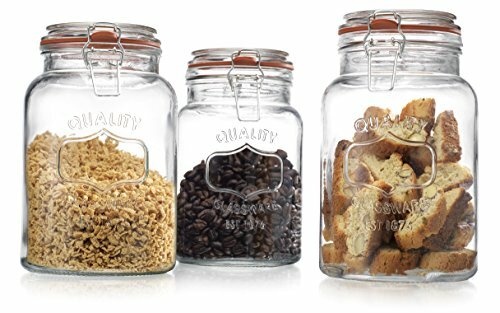 Be sure to take the time to make the granola from scratch — the result is a deep, toasty flavor that will outshine any store-bought version. This recipe uses Carolina Gold, a medium-grain, aromatic rice from the South Carolina low country, which gives this pudding its creamy, starchy consistency. Feel free to use it in place of any recipe that calls for Arborio rice, from risotto to fried fritters. 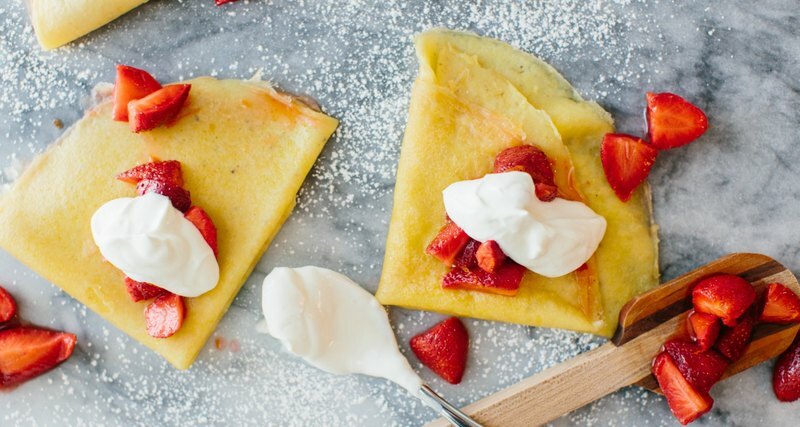 Crepes get a thoroughly Southern makeover thanks to switching out flour for cornmeal, which gives these fluffy crepes a tasty mouthfeel and deeper flavor, and topping it off with homemade clabbered cream. 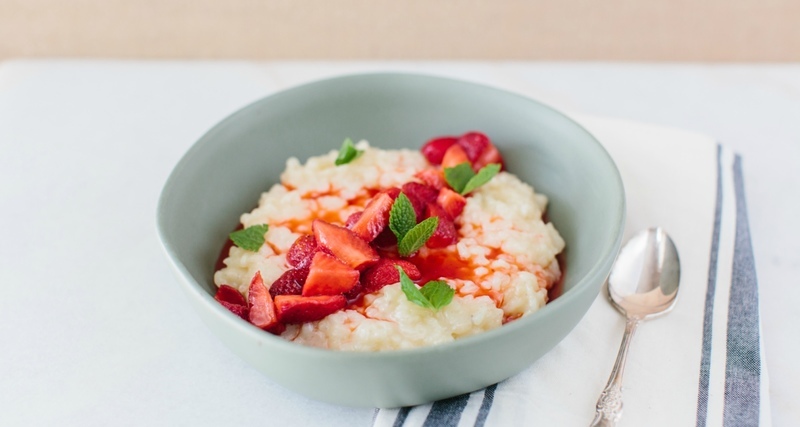 This one-time staple of a rural Southern larder is a thick, yogurt-like spread that’s perfect for dolloping on crepes, mixed into smoothies, or served simply with some leftover strawberries and honey. 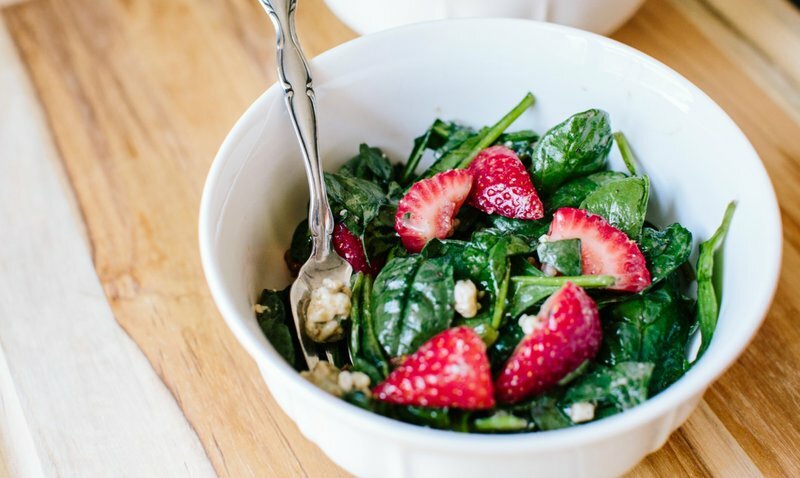 For a break from all that sugar, try adding the fruit to a your favorite salad — or perhaps this rapid-quick recipe that also includes tangy blue cheese, verdant spinach and crunchy nuts. Not as crazy about blue cheese? Try feta for something just as salty and creamy, but with a little less funk. 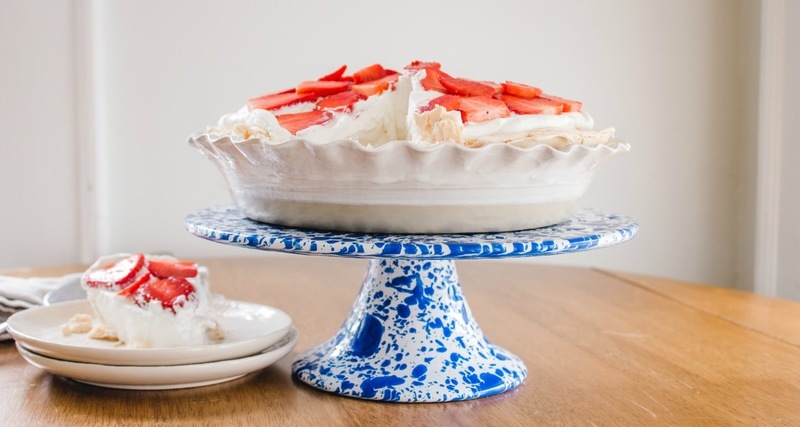 Called angel pie, heavenly pie or the admittedly less seductive upside-down meringue pie, this dessert is simply a meringue base, filled with cream, fruit, curds and (occasionally) syrups. Whatever you call it, the pantry-ingredient pie is the perfect no-fuss recipe for dressed-up occasions and celebrations or simply as a slice of something sweet with your evening nightcap. 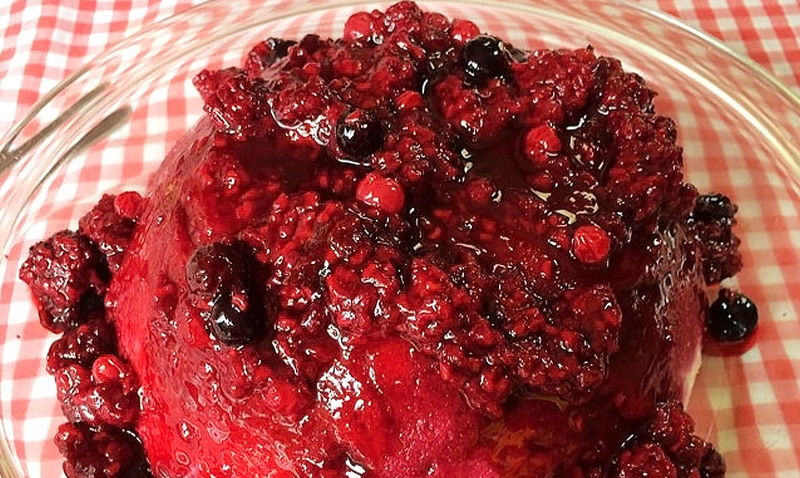 For when you find yourself with more fresh fruit than you can handle, this traditional English dessert has you covered. Although it is tempting to tuck in once assembled, it’s best to let this puddling set in the fridge for optimal sweet summery goodness. Who can say no to a frothy, ice-cold glass of milkshake — especially when it’s pink? 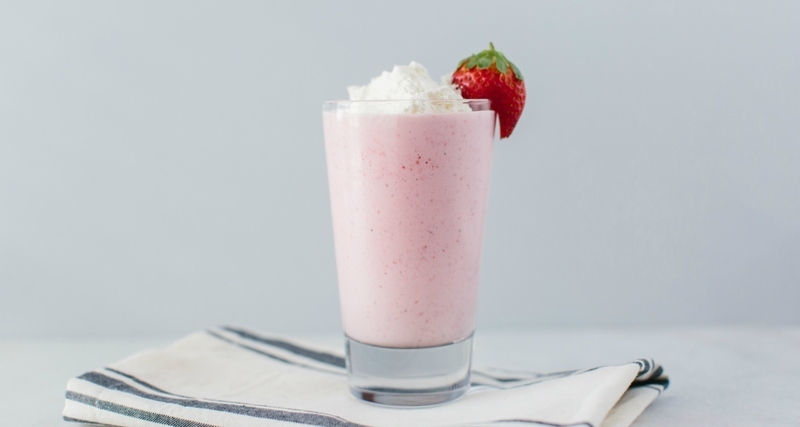 Top off this spring-in-a-glass drink with some homemade whipped cream, found in this extra strawberry-filled recipe. In 2018, surrounded by full plates of lettuce, it is hard for us to image that congealed sugar and flavoring could ever be considered as a salad. 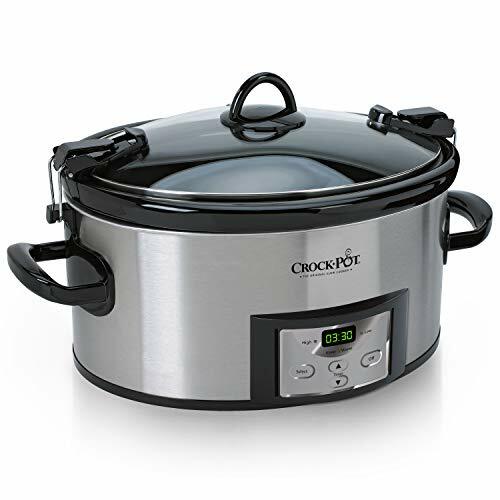 However, these dishes continue to be a mainstay of holiday meals, barbecues, showers and potlucks alike. 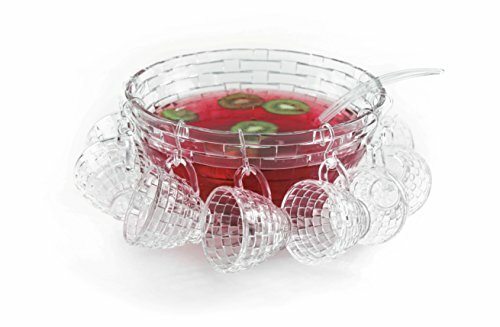 We have the Jell-O corporation to personally thank for decades of congealed and molded fruits and sometimes vegetables. With its many different variations, the strawberry pretzel salad seems to be among the most popular. The recipe is believed to have originated in the 1960s when the Joys of Jell-O cookbook was published. 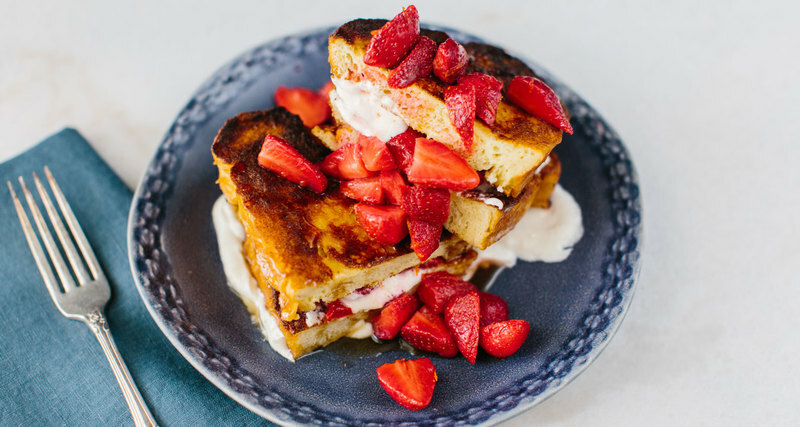 Between the cream cheese filling and fresh, juicy strawberries, this brunchtime treat is the ultimate spring weekend dish. One word of advice? For crispier French toast, use day-old bread or leave the sliced bread on the counter overnight to become stale. 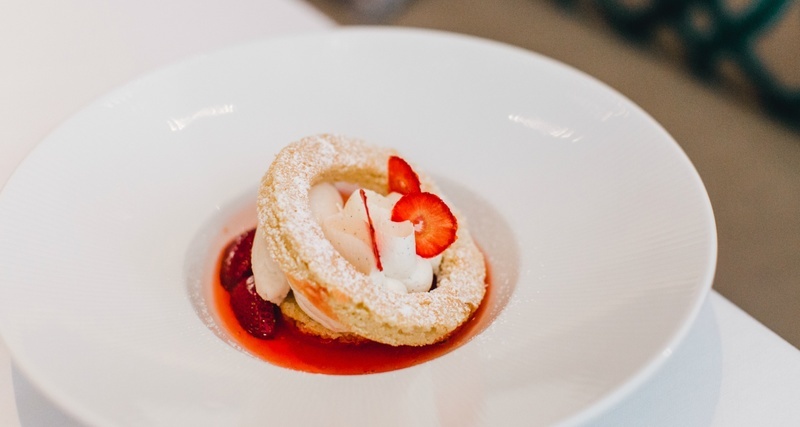 When Anne Byrn researched the history of strawberry shortcake for her book, "American Cake," she learned it was an old dessert, created to use up the wild "Virginia" variety of strawberries that grew generations ago across much of the eastern United States. These berries were known for their bright and pungent flavor, and people worked diligently to put them up into jams and wine and anything to savor that distinct strawberry flavor later in the year. And for special occasions, early settlers made strawberry shortcake. 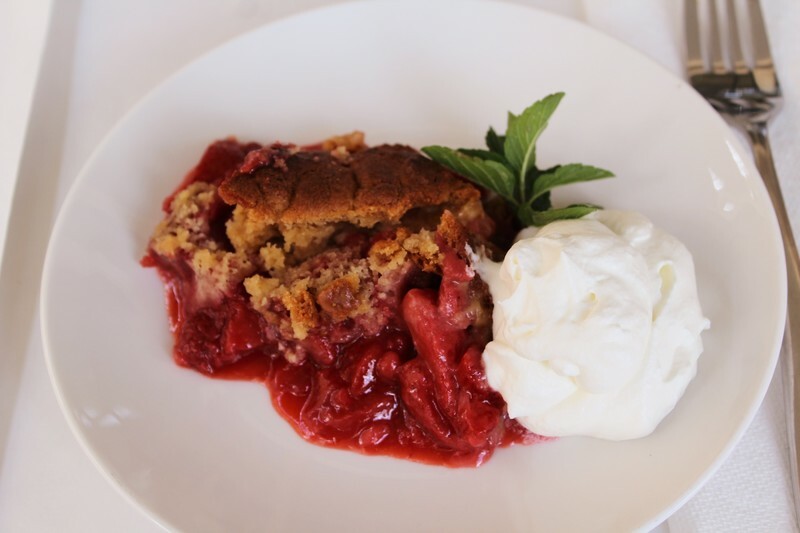 Her version is made using the biscuit method and is perfect for making use of fresh farmers market berries in the springtime. 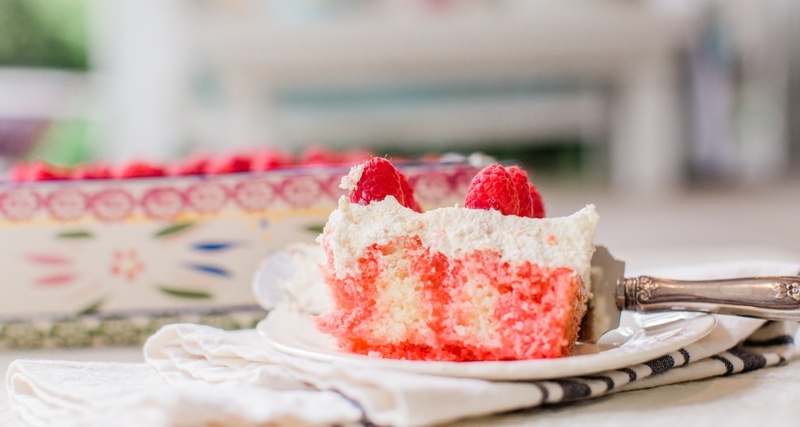 Between the strawberries, Jell-O and cake mix, the final layer cake is ultra moist and flavorful. 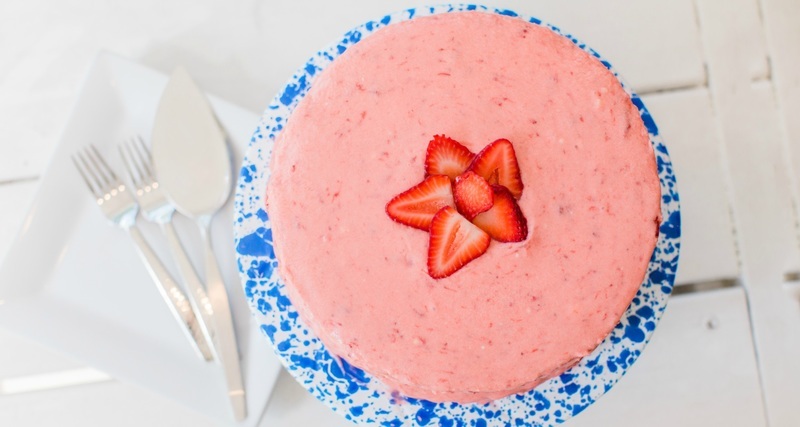 And, since the cake uses only frozen and pantry ingredients, you can serve up a slice of summer strawberries all year round. 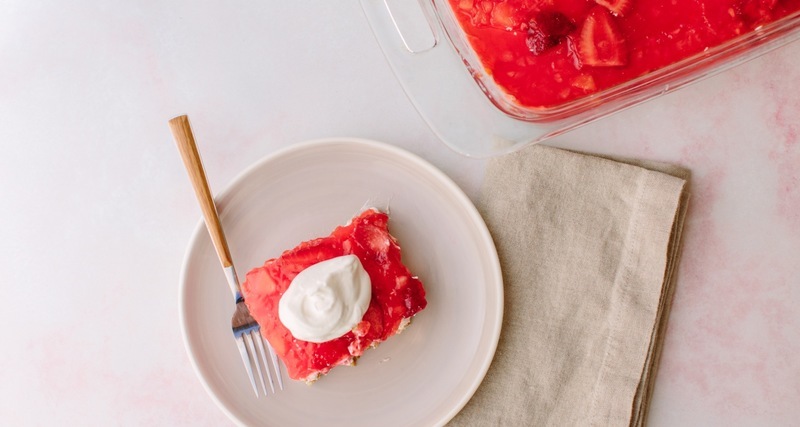 Sweet strawberries, cinnamon scented crust, perhaps some whipped cream or ice cream.... What's not to love about this strawberry cobbler recipe? This easy cake is short on work but big on flavor. Don't be afraid of all of the Jell-O and Cool Whip — it makes for an ultra-moist cake that'll stay that way for days. Poke cake is a favorite Southern style of cake; if you're not familiar, it simply involves poking holes in a baked cake and then pouring a flavorful sauce on top. This sauce soaks deep into the cake, adding, often, color and tons of flavor to the cake. In this case, we're making our poke sauce from strawberry Jell-O. This dinner party-appropriate stunner of a dish comes to us courtesy of Christian Castillo, the pastry chef at Atlas in Atlanta's Buckhead neighborhood. It is quite an involved recipe, but you can easily split up the work by tackling most of the components ahead of time; the only component you do need to make the day-of is the shortcake. 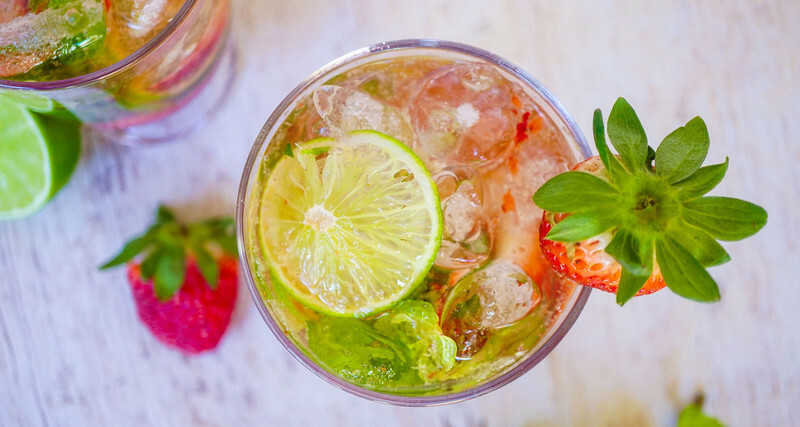 Just a few fresh berries, mint, lime and sparkling water are all you need — and before you know if you'll have consumed two zero-proof cocktails without missing out on a thing.